Sepera College is a training centre that has relationships with many companies recruiting for Accounting positions. As a graduate with an AAT certificate, you will have access to many interesting job offers in Accounting and Finance. With an AAT certificate you will be qualified to have easier access to better paying jobs and paid apprentice work. We have partnership with many companies around London, who need students as trainee. What is an apprenticeship ? Apprenticeship is an education route launched by the Government, bringing together the best of higher and vocational training. 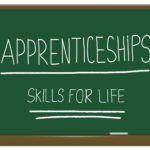 An apprenticeship is a real job with professional training. Apprentices receive on-the-job training and work towards recognised qualifications. For employers, apprenticeships are way to building a qualified workforce. If you are a career-conscious person, this a great opportunity to earn while you learn, and start a career. This option enables university study and the on-the-job training without having to cover the cost of tuition. Want to study at degree level while gaining on the job training and earning a salary? With the rising costs of going to university, apprenticeships offer a debt-free, direct route into employment. Successful completion of an accounting apprenticeship will give you big exemptions with those qualifications: ACCA, ICAEW, CIMA, ICAS and CIPFA. Beaing apprentence you’ll start earning straight away and get the same benefits as an employee, including a holiday allowance. Employers trust AAT qualifications as they demonstrate that you have the practical skills they need. You will qualify with a well-rounded set of skills and experience that will make you a highly sought-after employee.